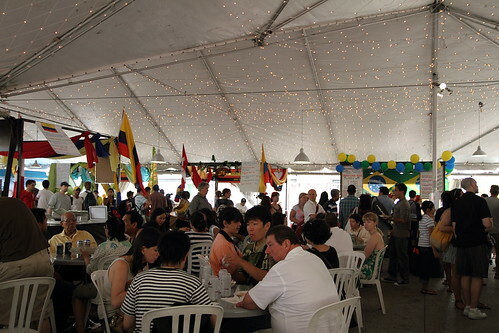 Yesterday I checked out Expressions of Brazil, part of the World Routes summer festivals at the Harbourfront Centre. 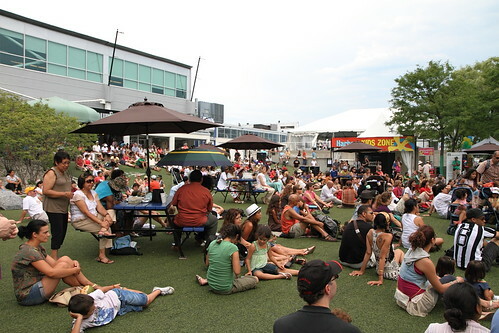 There were lots of people sitting on the turf, enjoying music from Brazilian performers. 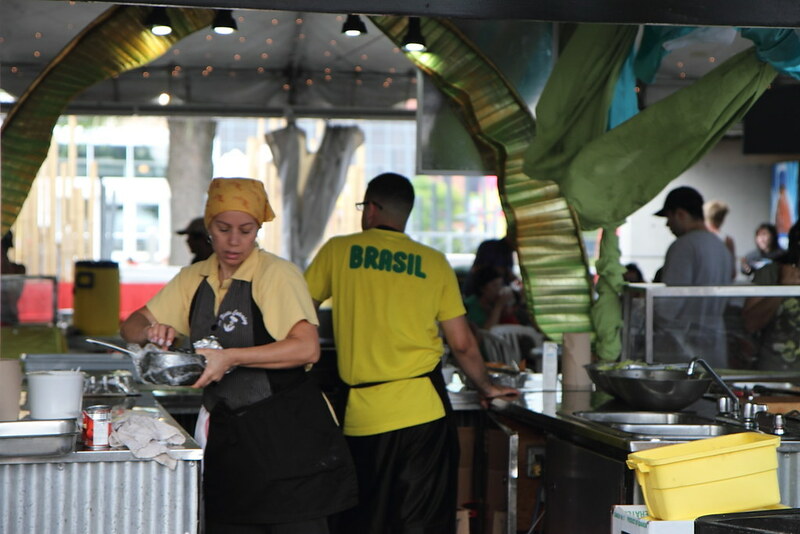 Though there were many cultural activities such as film screenings and drumming workshops, I went there primarily to sample Brazilian food. I was a little disappointed to not find much that was Brazilian, although there was a strong Latin American presence in the World Cafe. It was a nice event for families, with the live entertainment, a chance to walk by the water's edge, plus the usual Harbourfront standbys of churros, fresh coconut, and a small bazaar. It also amazed me how you could hear the Toronto Indy buzzing all the way from Exhibition Place.